Picture from group : Mullaghcleevaun (right) and its ridge to the east top. Picture: Mullaghcleevaun (right) and its ridge to the east top. High flattish summit reached by many interesting routes. Mullaghcleevaun and its East Top can be thought of as a 1km east west ridge. 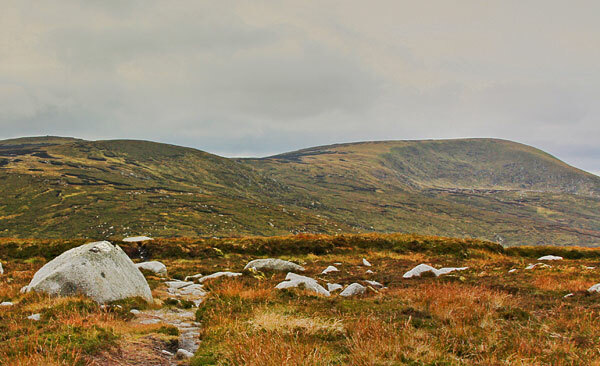 Walking between the two gives gives views of much of the Wicklow uplands and a nearer view of Cleevaun Lough, a bog enclosed lake nestling into a corrie to the north.